Hello Dealsnloot Readers, Snapdeal, the online shopping hub is now showcasing an amazing offer where you get to enjoy buying Mobile & Tablet Accessories Upto 94% OFF + Rs. 50 OFF (No Minimum Purchase) From Snapdeal.Snapdeal offering cool deal Mobile & Tablet Accessories which are already upto 70% off. Get extra Rs. 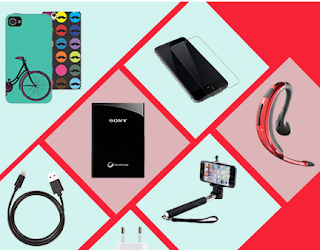 50 off when apply coupon code: XTRA50 .Grab This Loot offer and Enjoy Snapdeal Deals. Offer only applicable on Mobile Cases & Covers, Mobile Screen Guards, Bluetooth devices, Power banks and Tablet Accessories. Offer valid for one-time use & on a single product only till 15th Feb.
Promocode has to be used manually after adding selected product to the cart.